Jim would stop making television commercials after the debut of Sesame Street in November 1969, but earlier that year, he made the last set of ads for one of his oldest advertising clients: Community Coffee of Baton Rouge. Their product was essentially the same as what Jim’s first advertising client the Wilkins Coffee Company marketed in 1957. Jim could make the same ads for the new client easily by just changing the name in the script and the packaging during the shoot. In 1959, Jim made six Community Coffee 10-second spots featuring the feuding pair Wilkins and Wontkins, and then over the next four years, he produced another sixteen spots. 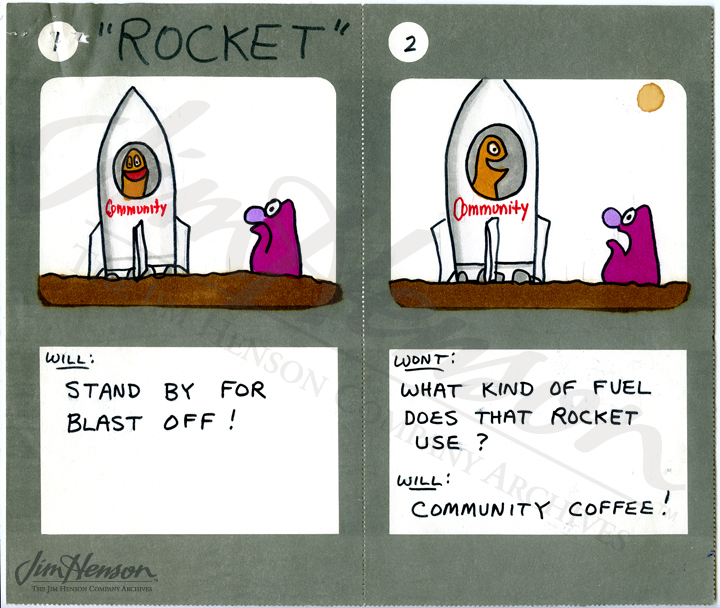 After a three-year hiatus, Community Coffee got back in touch with Jim in late 1966 and ordered more spots, this time in color, and discussed the possibility of making slightly longer versions. 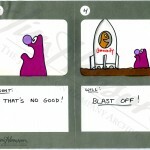 Some of the earlier scripts were reshot and some new scripts were chosen from Jim’s catalogue of Wilkins-style commercials. Over the decade that Jim worked with Community Coffee, his regular contact there was Advertising and Sales Promotion Manager, Ray Dabadie. For the final Muppet campaign in 1969, Dabadie arranged to produce prototype hand puppets based on the two characters. 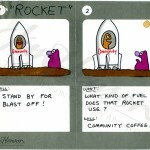 These would be offered to Community Coffee consumers as a promotional gift, and he sent them to Jim for approval. 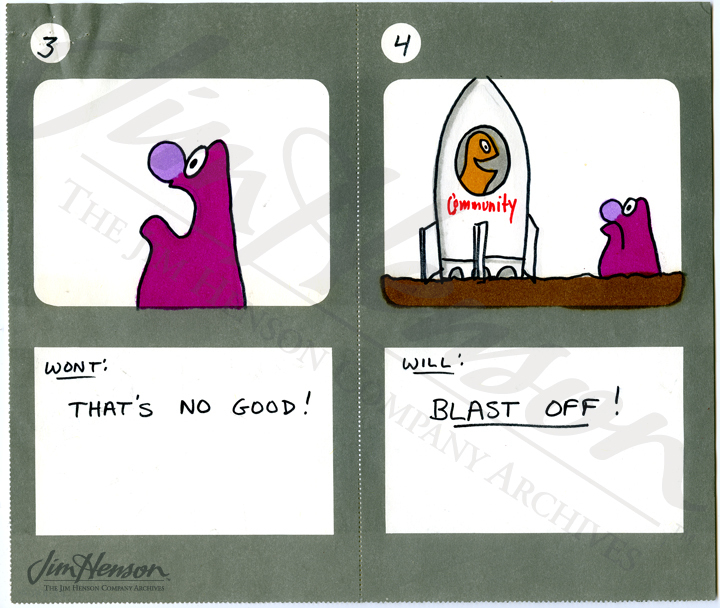 Jim suggested that, “…they would be best made of a fabric more in keeping with the Muppets themselves; possibly a good quality felt,” and tweaked the design by suggesting that, “Wilkins’ likeness could be improved by making the mouth smaller and raising the eyes and nose.” The resulting puppets, though not made of felt, were a lot of fun and helped to cement the consumer connection between Community Coffee and Jim’s creations. 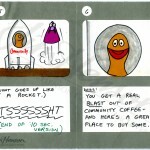 Learn more about Jim’s work for another coffee company. 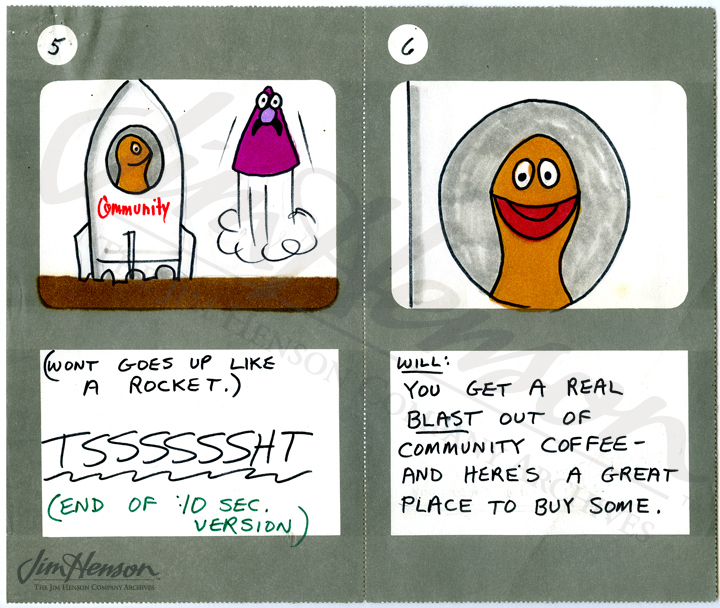 Jim’s storyboard for Community Coffee “Rocket” commercial, 1969. 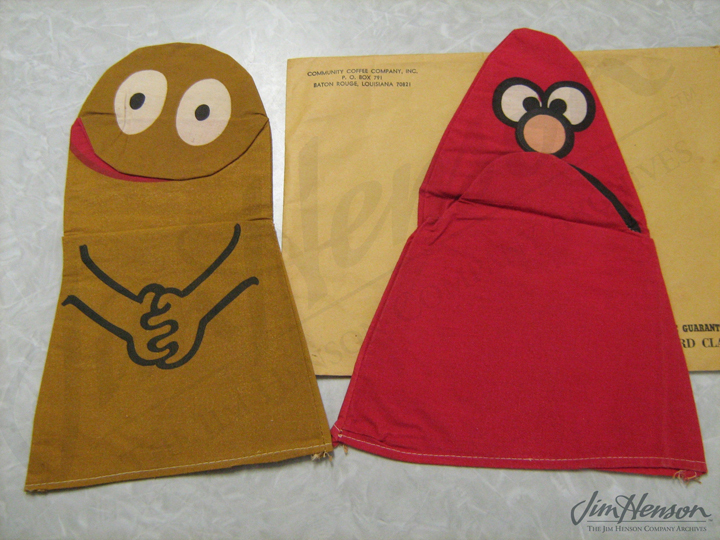 Community Coffee consumers could order hand-puppet premiums featuring the Wilkins and Wontkins characters, 1969. This entry was posted in 03-March '69, 1969, Commercials and tagged Community Coffee of Baton Rouge, Ray Dabadie, Sesame Street, Wilkins and Wontkins, Wilkins Coffee Company. Bookmark the permalink.